This is my best work yet. This particular homebuilder had $262,000 of debt on the balance sheet for every home it delivered at the peak of the market. Today is has a stunning $630,000 of debt for each home it has delivered over the last 12 months. It’s contract signings are in decline per its latest 10-Q disclosure. In my view, shorting this stock now offers the investor the potential for a 70% gain over the next two years. In addition to its high level of debt, I have uncovered a high degree of questionable and misleading accounting maneuvers this company uses to make its p/e ratio look lower and to make all of its other financial analysis ratios appear more favorable. I can honestly say that I have never come across worse financial disclosure at a large-cap public company. This post was published at Investment Research Dynamics on September 9, 2014. The United States has always had a love affair with the yellow metal. It all started in Stafford, Virginia in 1782, when Thomas Jefferson documented the first gold discovery himself. Since then, Americans have been searching for gold far and wide. The California Gold Rush brought hundreds of thousands of people to the West in search of new found wealth. Years later, many more ventured into Alaska’s wilderness to hit it rich. Even today, there is a modern gold rush in Nevada, where the five biggest gold mines (by contained oz) are located. The US produced 8.2% of the world’s gold in 2013, which puts it in third place for annual production. It’s also no secret that the US also holds the largest reserves of gold today, primarily located in the Fort Knox and Federal Reserve Bank of New York depositories. Between the two locations, a hefty 8,133.5 tonnes of gold are vaulted. The future is still bright for gold in America: in fact, just three undeveloped deposits in Alaska (Pebble, Donlin, and Livengood) hold a potentially game-changing 180,000,000 oz of gold combined. While it is true that there have been some hiccups along the way, such as Roosevelt’s confiscation of gold in 1933, it is unlikely that America’s fixation on gold will end any time soon. 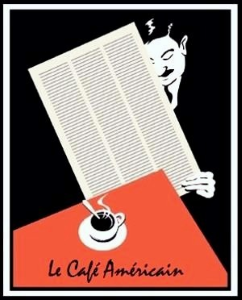 This post was published at Zero Hedge on 09/09/2014. The biggest issue with federal government purchasing is the use of cost-plus contracts. This should be an issue that most people agree with regardless of their political leanings. Cost-plus contracts are a way for government acquisition professionals to pass on research and development risks to the taxpayers. The acquisition professionals cause this risk to taxpayers through two different actions: 1. Writing poor system requirements and 2. Not contracting for the proper lab work, experimentation, and prototyping for new technologies. Essentially, programs are going forward for full funding without the proper engineering and scientific effort being conducted to refine new designs and catch unforeseen problems with new technologies. There are programs funded that contain requirements for technologies that don’t even exist in a proven prototype. For some programs that are funded by Congress, there are several high risk technology requirements that are rolled into the same project, compounding risk to taxpayers. While the contractors experiment, fail, and experiment again to try and meet those requirements, the bills keep piling up. This post was published at Washingtons Blog on September 9, 2014. Virtually every country in the world spends more money than they collect in taxes, and no group of countries has done a better job at this than those that formed the Euro-zone. This collective group has so much debt, that a recent study by the Bank of International Settlements concluded it would take 20 consecutive years of surpluses to simply bring debt loads back to levels previously reached prior to the current crisis. Considering that this has never happened before, we have little confidence that this type of spending constraint can be accepted and implemented by any of the respective governments. There is only one way possible for any person, company or government to spend more money than they earn – they must borrow to make up the difference. And as long as the Euro-zone countries are able to borrow, they’ll be able to extend the charade a while longer. This is the point when many investors and pro-Euro supporters will argue that all of the Euro-zone countries are able to borrow, and in fact each country is able to borrow at the lowest interest rate in history for each individual country. This is indeed true. However, this is the point when IceCap reminds investors that there are two types of debt markets. The first is the one where the price or interest rate you pay is determined by the open market, with no interference or influence by other forces. Last week, Adam Hartung qualified for the “Mark Twain Award” if there was such a thing. In his article, “Obama Outperforms Reagan On Jobs, Growth & Investing,” Adam goes to some length to try and show that unemployment rate, the S&P 500 and economic growth are currently better under the current administration than they were during the Reagan administration. The BLS’s measure of unemployment has become obfuscated by the rise in the number of individuals that are no longer counted as part of the labor force. As I discussed in “Why The Unemployment Rate Is Irrelevant,” the measure of labor force participation is markedly different between Reagan and Obama. This post was published at StreetTalkLive on 08 September 2014. Scottish Chaos? Should I Stay or Should I go? It is very interesting to see the numerous emails pouring in from Scotland and England. Even in Scotland there is a strong left-wing socialist factor that has their hand out to whom Cameron is trying to persuade to stay in the UK and they will be rewarded. For the benefit of both England and Scotland, a separation would be fantastic if Scotland took the high road here. If Scotland lowered its taxes including VAT, this will put pressure on England. Moreover, it has been argued that Scotland costs the British more than they get back. The Government Expenditure and Review Scotland (GERS) calculates how much money is raised through taxes in Scotland and the level of public spending north of the border. The Scottish nationalists argue the number are erroneous. However, the numbers appear to be fairly trustworthy. The GERS figures, for the financial year 2008/09, show that the Treasury spent about 54 billion on Scotland and only received 43.5 billion in revenue. The Brits believe that the Scots do not pull their own weight. However, there is the question of a very important asset – the North Sea oil. Most of the United Kingdom’s fossil fuel lies off the coast of Scotland – not England. Therefore, the wealth the North Sea Oil generates should arguably be added to figures for total revenue from Scotland that England does not count. This introduces a whole string of important questions if there is a separation. Will this natural resource be returned to an independent Scotland? This post was published at Armstrong Economics on September 9, 2014. In an inscrutable move that has alarmed state treasurers, the Federal Reserve, along with the Federal Deposit Insurance Corporation and the Office of the Comptroller of the Currency, just changed the liquidity requirements for the nation’s largest banks. Municipal bonds, long considered safe liquid investments, have been eliminated from the list of high-quality liquid collateral. assets (HQLA). That means banks that are the largest holders of munis are liable to start dumping them in favor of the Treasuries and corporate bonds that do satisfy the requirement. Muni bonds fund the nation’s critical infrastructure, and they are subject to the whims of the market: as demand goes down, interest rates must be raised to attract buyers. State and local governments could find themselves in the position of cash-strapped Eurozone states, subject to crippling interest rates. The starkest example is Greece, where rates went as high as 30% when investors feared the government’s insolvency. Sky-high interest rates, in turn, are the fast track to insolvency. Greece wound up stripped of its assets, which were privatized at fire sale prices in a futile attempt to keep up with the bills. The first major hit to US municipal bonds occurred with the downgrade of two major monoline insurers in January 2008. The fault was with the insurers, but the taxpayers footed the bill. The downgrade signaled a simultaneous downgrade of bonds from over 100,000 municipalities and institutions, totaling more than $500 billion. The Fed’s latest rule change could be the final nail in the municipal bond coffin, another misguided move by regulators that not only does not hit its mark but results in serious collateral damage to local governments – maybe serious enough to finally propel them into bankruptcy. Why this unprecedented move by US regulators? It is not because municipal bonds are too risky, since corporate bonds with lower credit ratings are accepted under the new rules. Nor is it that the stricter standard is required by the Basel Committee on Banking Supervision (BCBS), the BIS-based global regulator agreed to by the G20 leaders in 2009. The Basel III Accords set by the BCBS are actually more lenient than the US rules and do not include these HQLA requirements. So what’s going on? Are you ready to have your veins scanned every time you use your bank account? Are you ready to use a “digital tattoo” or a microchip implant to unlock your telephone? Once upon a time we read about such technologies in science fiction novels, but now they are here. The era of widespread biometric identification and microchip implants is upon us, and it is going to change the way that we live. Proponents of these new technologies say that they will make our private information and our bank accounts much more secure. But there are others that warn that these kinds of “Big Brother technologies” will set the stage for even more government intrusion into our lives. In the wrong hands, such technologies could prove to be an absolute nightmare. Barclays is launching a vein scanner for customers as it steps up use of biometric recognition technology to combat banking fraud. The bank has teamed up with Japanese technology firm Hitachi to develop a biometric reader that scans a customer’s finger to access accounts, instead of using a password or PIN. The biometric reader, which plugs into a customer’s computer at home, uses infrared lights to scan blood flow in a person’s finger. The user must then scan the same finger a second time to confirm a transaction. Each ‘vein profile’ will be stored on a SIM card inside the device. This post was published at The Economic Collapse Blog on September 9th, 2014. Venezuela has nice oil reserves but the government is spending more cash than it receives from pumping oil. Investors are finally starting to realize Venezuela may run out of money and will be forced to default on bonds. Venezuelan debt traders are beginning to consider the possibility the country may run out of money. The cost of insuring the country’s foreign-currency bonds against non-payment soared yesterday by the most since the aftermath of Lehman Brothers Holdings Inc.’s collapse in 2008 to 14.25 percentage points, the most expensive in the world. This post was published at Global Economic Analysis on September 09, 2014. McDonald’s sales have been declining since December 2013. 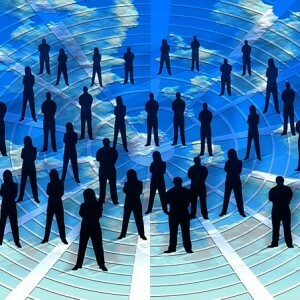 World bank warns we are in a global job crisis. 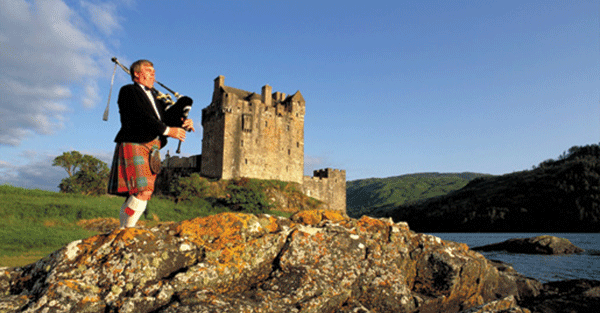 Scotland could ask for its share of gold from the UK. Russia and China are pushing the de-dollarization by conducting half of their trade in the yuan or rouble. MH17 report is out and it says the plane was hit with high energy projectiles, bullets. Who did it is not in the report. Wiki-leaks reports that the Ukraine crisis was scripted back in 2008. French are making the case to invade Libya. The US is getting 40 plus countries together to form a coalition to invade Syria. The Islamic State terror threat is being pushed for the next event. This will be an inside job and will cover up the economic collapse. First, Europe infamously shifted to a NIRP and now Japan has begun NIRP monetization. As WSJ reports, Tuesday marked another milestone in the topsy-turvy world of monetary easing in Japan: The Bank of Japan bought short-term Japanese government debt at a negative yield for the first time. In the understatement of the decade, one Japanese bank strategist noted, “The BOJ probably didn’t expect this would happen, and T-bill rates staying negative should be a cause of concern for them.” The BoJ’s decision to scoop up these negative-yielding bills appears to confirm they will meet the QQE-buying demands no matter what the cost (to the Japanese people). The bottom line, the Bank of Japan is now implicitly issuing debt to the Japanese Treasury. In a few moments, the up and coming “bond king challenger”, Jeffrey Gundlach will hold one of his signature free to all webcasts, this time focusing on what Gundlach calls the “Fixed Income Playbook.” Will he agree with David Tepper that the bond bubble is now bursting, or, on the contrary, side with JPM and its estimation that there is $5 trillion in excess liquidity which will inevitably find its way into the bond market and send yields to even lower record lows, find out in minutes. I have often written about the emotional and psychological factors that inhibit long-term investment performance (most recently here). Despite repeated studies that suggest investors should just buy “passive index” funds and “hold on” until eternity, the reality is that it simply does not work that way. If you were raised in a religious household, or were sent to a Catholic school, you have heard of the seven deadly sins. These transgressions — wrath, greed, sloth, pride, lust, envy and gluttony — are human tendencies that, if not overcome, can lead to other sins and a path straight to the netherworld. In the investing world, these same seven deadly sins apply. These “behaviors,” just like in life, lead to poor investing outcomes. Therefore, to be a better investor, we must recognize these “moral transgressions” and learn how to overcome them. Wrath – never get angry; just fix the problem and move on. Individuals tend to believe that investments that they, or their advisor, make should“always” work out. They don’t and they won’t. Getting angry about a losing bet only delays taking the appropriate actions to correct it. Greed – greed causes more investors to lose more money than at the point of a gun. Individuals regularly fall prey to the notion that if they “sell” a position to realize a “profit”that they may be “missing out” on further gains. This mentality has a long and depressing history of turning unrealized gains into realized losses as the investment eventually plummets back to earth. This post was published at StreetTalkLive on 09 September 2014. Let’s head immediately to see the data has in store for us today. London good delivery bars are still quite scarce. This post was published at Harvey Organ on September 9, 2014. Apparently today is my day to pick on poor Paul Krugman. I read this in a doctor’s waiting room today, and it was just too illustrative of a certain institutional mindset to go by unremarked. Paul is responding to questions for an interview in the latest issue of Princeton Magazine. Are bubbles good or bad and do we need them to create strong economic growth and reach higher levels of employment? Bubbles are bad if you have an economy near full employment, where they divert resources from their proper use and set the stage for financial instability. In a depressed economy, even ill-conceived spending can help create jobs, so bubbles aren’t necessarily bad. There are reasons to believe that we’re facing an era of persistent economic weakness, which means that we’ll only feel prosperous during bubble periods. Please comment on how artificially low interest rates have impacted the current value of baby boomers’ retirement portfolios and should this be a consideration of the Federal Reserve? Oh, boy. What do you mean ‘artificially low’? Compared to what? The appropriate level of the interest rate, most economists would say, is the rate that gives us full employment without inflation; since we don’t have full employment, that says that rates are too high. And no, the Fed’s job is to stabilize the economy, not to protect incomes of some groups at the expense of that mandate. It’s one thing to infer that the economists of the professional status quo believe these sorts of things. And its quite another to see it in print. This post was published at Jesses Crossroads Cafe on 09 SEPTEMBER 2014. Average Workweek Back at Pre-Recession Levels: What About the Obamacare Effect? A chart of hours worked shows the average work week has returned to pre-recession levels. Moreover, note that the number of part-time jobs has been relative steady in the recovery. Gold dropped $7.97 to $1247.63 in early afternoon New York trade, but it then rallied back higher into the close and ended with a gain of 0.07%. Silver slipped to $18.879 at one point, but it then bounced back higher in the last hour of trade and ended with a gain of 0.32%. Euro gold fell to about 970, platinum lost $12 to $1383, and copper fell 6 cents to about $3.11. Gold and silver equities saw slight gains for most of the morning before they fell to see about 1% losses at about 2PM EST, but they then jumped back higher in late trade and ended with about 1% gains. 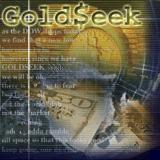 This post was published at GoldSeek on 9 September 2014. Despite the exuberance of certain government-sponsored confidence surveys, Gallup’s weekly measure of economic confidence in America continues to go absolutely nowhere. As they note, so far, 2014 has been a unique year for the U. S. Economic Confidence Index in its doldrum-like range, stagnant and still negative. Anyone who’s ever seen the movie Braveheart has heard of William Wallace, one of the original heroes of Scottish independence. Though Mel Gibson’s highly fictionalized account was one of the most historically inaccurate movies in modern cinema, Wallace did, in fact, lead Scottish rebels against English invaders. And he died for his cause. Wallace was severely tortured after being convicted of high treason against King Edward I; he was dragged by horses, hung nearly to the point of death, revived, relieved of his manhood, ritualistically disemboweled, made to watch his entrails set ablaze… then finally beheaded. Not the way you want to go. That said, the movement for Scottish independence lived on, and England folded in 1357, ending a 60-year war between the two nations. For the next 350 years Scotland remained an independent state until… go figure… a financial crisis. In a desperate attempt to become (almost overnight) a major world trading power in the 17th century, the government of Scotland backed a comically ill-fated attempt to colonize Panama. It failed miserably. Yet the investment in the Darien Scheme (as it was known) amounted to up to half of Scotland’s total money supply. When it went bust, Scotland was nearly broke. This post was published at Sovereign Man on September 9, 2014.